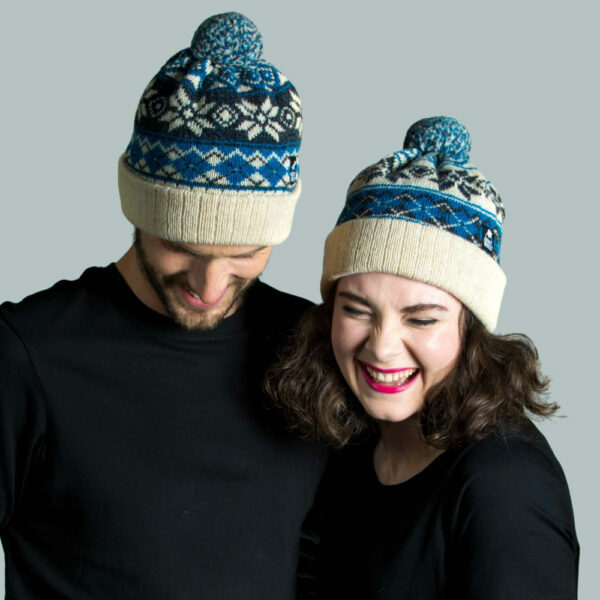 We’ve made these Shetland wool hats using the same combination of colours in a different variation to form a complementing set. 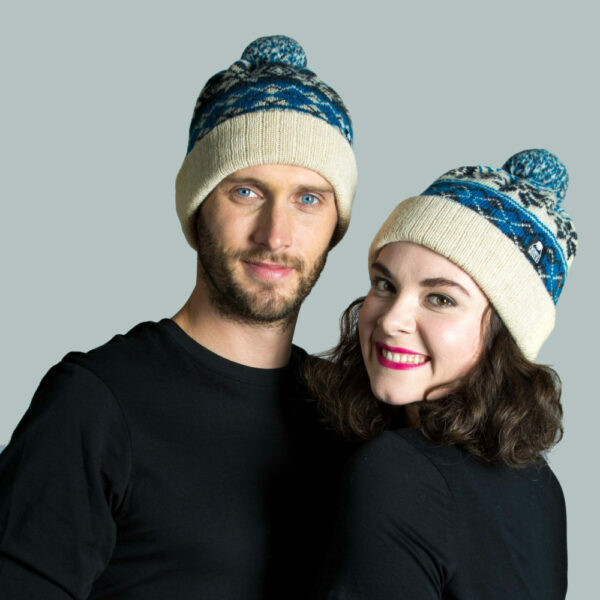 Each one of our pure wool bobble hats is knit with a double layer of wool to create a superb barrier against the elements. Shetland wool is incredibly hardy, its best worn outdoors and is a great product to wear for a blustery walk. 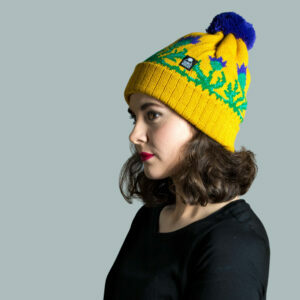 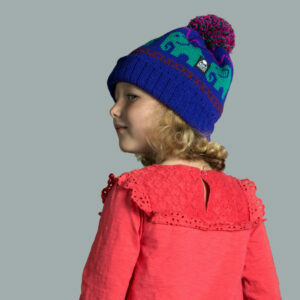 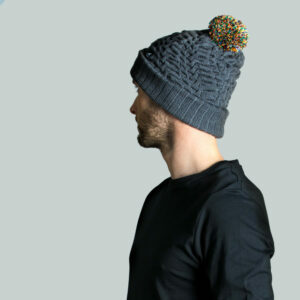 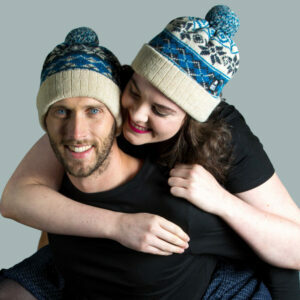 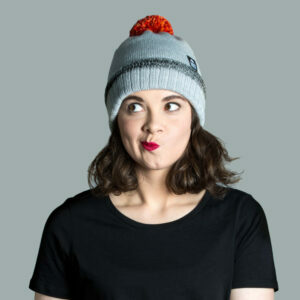 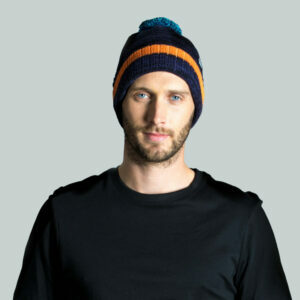 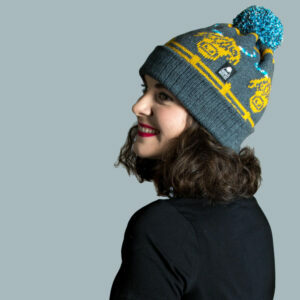 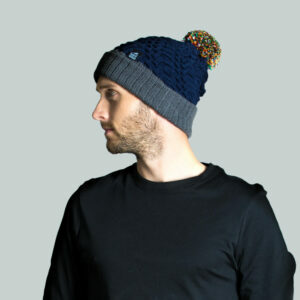 We’ve been lucky to source a unique blended blue yarn adding an element of depth to this limited-edition woolly hat.